The latest trend for personalisation and customisation seems to be growing and also expanding across lots of bag categories. From luxury to the intensely personal, we take a look at some great examples. 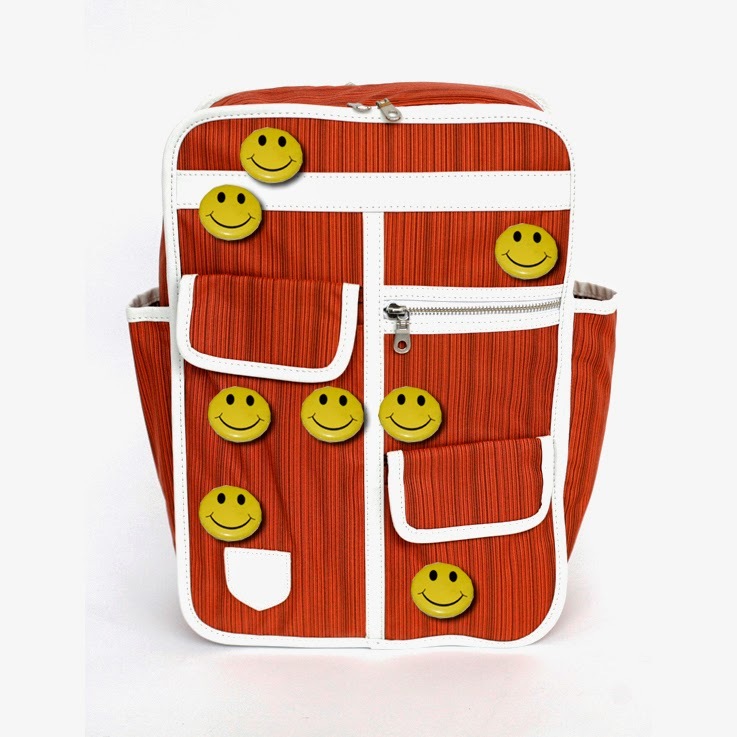 This school rucksack from East London bag company, GOODORDERING with its retro style pairs perfectly with the iconic Smily Face button badges shown above. Of course Chanel's 'home made' style ruck sack from their SS14 catwalk show shows how extremely high end fashion can be inspired by the street. 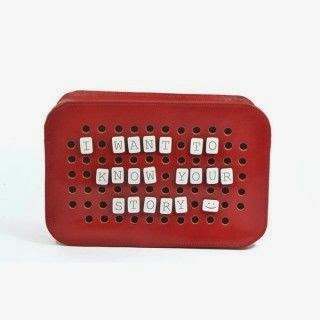 This red clutch bag featuring oversized perforations comes with 80 attachable 'scrabble' style tiles which you can use to write a message on the bag, or you can just spell out your name. 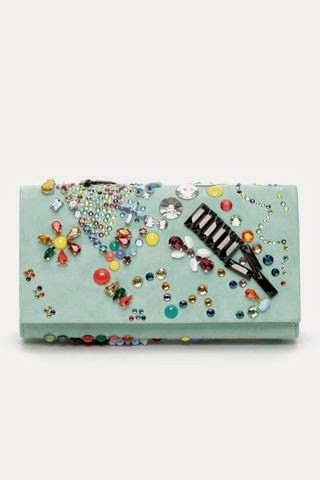 What i like about this bag is that it actually looks quite fashionable rather than overtly home made. The lettering is quirky and understated and the customisation method is simple and effective. There are more bag styles in this range but i think this one words the best, find out more by visiting We are Selecters website. I have always absolutely LOVED charlotte olympia, and if i could afford one, it would definitely be on my 'buy myself a birthday present list'. 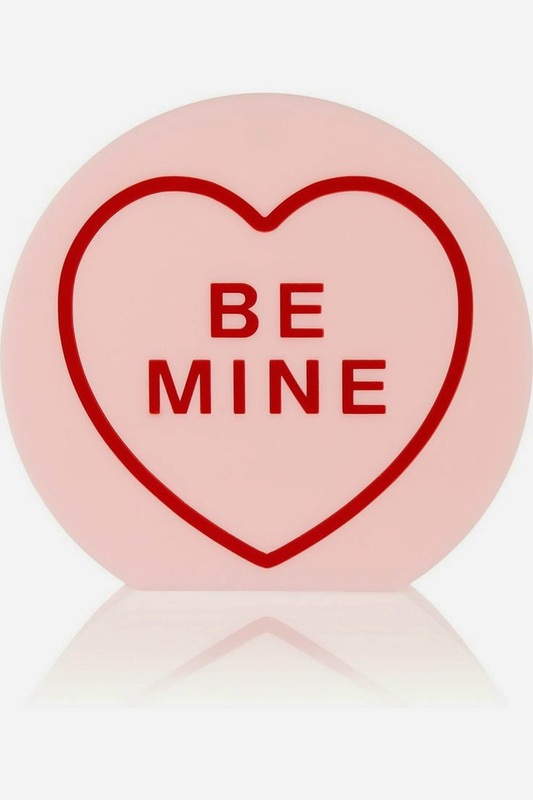 This 'be mine' perspex clutch is on netaporter and features a cute personal message inspired by the retro sweets. 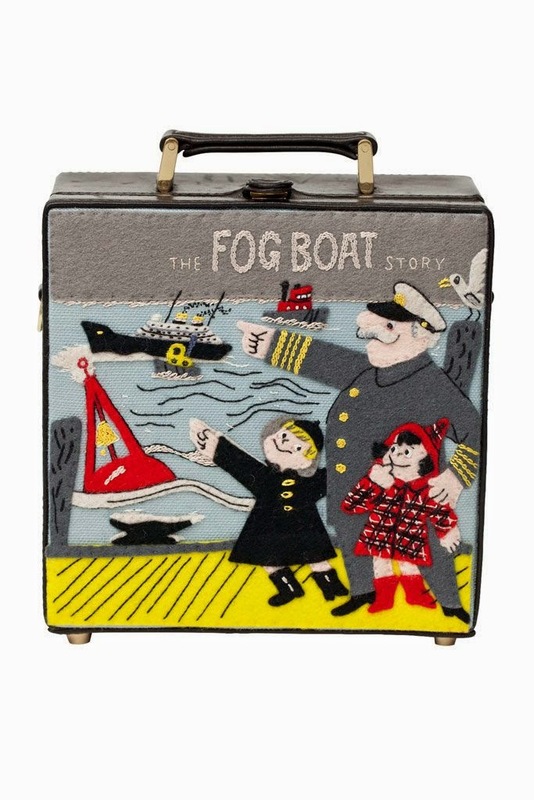 However, i'm much more of a fan of her crafty hand-embroidered book clutches and mini-bags such as this one above 'The Fog Boat Story'. I think they are really timeless and fun. 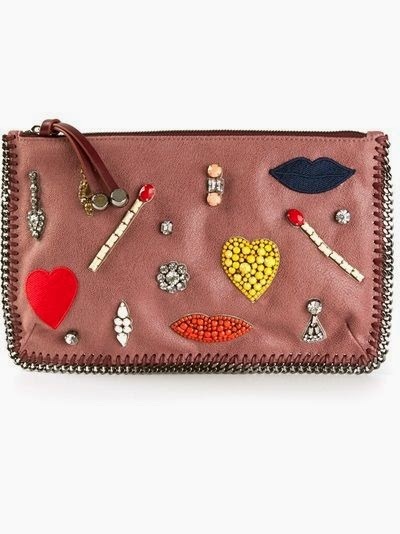 I think the glamour in faux customisation started with Stella McCartney ss14 (i think) where she designed bags and apparel with wonky beaded drawings. The elements are seeminly mismatched and misplaced like it has been done as a birthday card by a 3 year old. This naieve illustration is so cute and works really well on evening clutch bags. And of course was unashamedly copied by the likes of H&M, zara etc. Well, why wouldn't you! Here is a slighly more cleaned up version by Giuseppe Zanotti, you can really see how this trend has developed from clunky and naive attempts at personalisation through to more slick renditions of playful decoration. 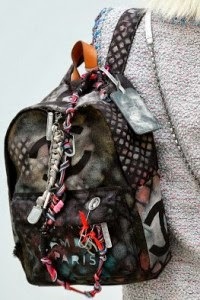 The trend of customised and personalised bags will defintely continue as well see technology allow the quick and affordable techniques to make this happen such as 3d printing and short run processes become more common place. Check out more about bags on our facebook page. by the same name.